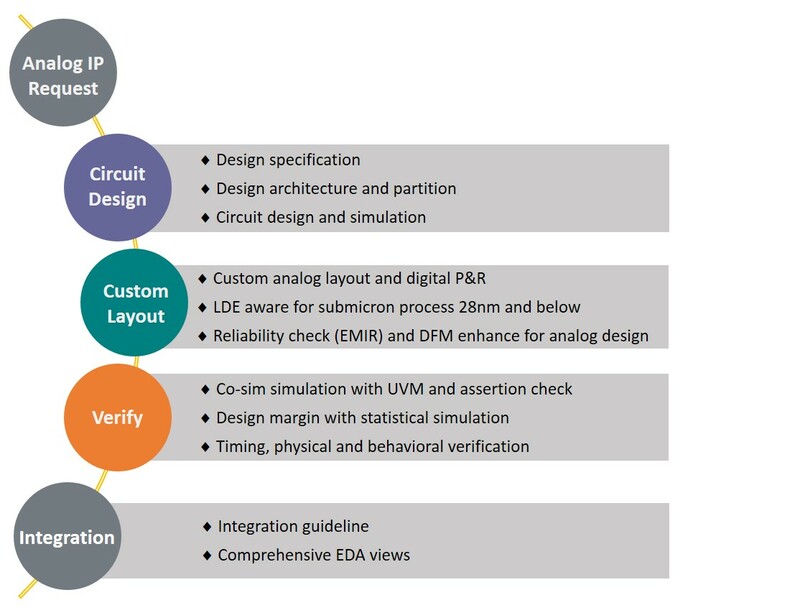 Savarti has proven track records on IP customization and designs from 0.18um to 14nm. Savarti design team has experience in development of analog mixed signal verification environment with advanced techniques like UVM. We have designed from Registered-Level, set-up from scratch verification environments, VIP coding, and Test development to final coverage report. Analog & Mixed-Signal IP design services, one of Savarti’s strengths in Integrated Circuit designs. We are a team of highly experienced analog design engineers who are ready to meet any challenges in high-speed design for consumer and networking as well as ultra low-power design for IoT applications. Savarti has a capability to create high quality analog circuit from scratch and bring them to mass production successfully. And we have proven track records on IP customization and designs from 0.18um to 14nm.